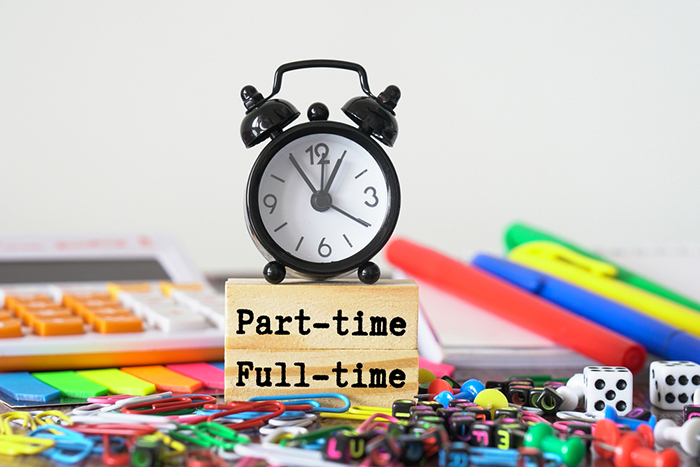 Working full-time hours is an essential function of a full-time job, right? Not necessarily, said the Sixth Circuit Court of Appeals in a Hostettler v. The College of Wooster. When the job can be done on a reduced schedule, at least in the short term, employers have a duty to accommodate. Hostettler involved a human resources professional who Wooster hired well into her pregnancy. Wooester promised to allow her twelve weeks of leave even though she would not eligible for leave under the Family Medical Leave Act or state law. Unfortunately, Hostettler suffered from significant postpartum depression after the birth of her child. At the direction of her physician, Hostettler requested a longer leave. Wooster complied, and granted the request. Later, Hostettler’s physician recommended she return to work on a part-time basis. The physician believed Hostettler’s condition would subside within six months. In other words, this was not a request for permanent part-time employment. Initially, Wooster allowed Hostettler to return part-time. It appeared Hostettler was able to perform all of her job duties in her shortened schedule. For two months, the part-time arrangement seemed to work and Wooster did not raise any concerns with Hostettler. In fact, her supervisor complimented Hostettler's work in her annual performance review. Hostettler even volunteered to start working longer days in anticipation of returning full time. In an about face, Hostettler’s supervisor terminated her shortly after her evaluation because Hostettler was not immediately available to return to work full-time. In response to the forthcoming ADA claims, Wooster argued that Hostettler could not work full-time, and hence could not meet the essential functions of the job. In other words, she was not a qualified individual with a disability. The district court agreed. The 6th Circuit did not. The court of appeals held that Wooster's insistence that the position was full-time did not rule the day. Rather, the employer needed to conduct an analysis of whether full-time work for the particular position was actually necessary. In ADA parlance, is it really an essential job function? In Hostettler's case, the employee had demonstrated that she was performing required duties of her position and that full-time attendance was not essential. Determining whether job functions are essential is "highly fact specific." The court readily agreed that in-person attendance at work may often be essential to the position. The problem was, the district court had not performed the required factual analysis of Hostettler's role. "On its own, full-time presence at work is not an essential function. An employer must tie time-and-presence requirements to some other job requirement." In other words, "full-time presence at work is not an essential function of a job simply because an employer says it is. If it were, employers could refuse any accommodation that left an employee at work for fewer than 40 hours per week." It would also render moot other accommodations that might be reasonable under the circumstances, such as additional leave, telecommunting or reduced schedules. This case is a great reminder to employers that there is no one size fits all response to accommodation requests. Oftentimes, an individual inquiry is necessary. Rigid compliance with company policy runs counter to the employer’s obligation to engage in the interactive process, which should be designed to identify what accommodation is reasonable in each case. For Hostettler, a short period of reduced leave was reasonable given her apparent ability to perform her duties on a part-time schedule. The employer would have been wise to have allowed her further leave. Instead, it wound up with an ADA, FMLA and Title VII suit that has now been returned to the court for further litigation.